Three of the biggest video games developers have dropped their support for the Stop Online Piracy Act. Nintendo, Electronic Arts, and Sony, all who supported the bill when it was first created, had their names recently removed from the list of supporters, or have they. If you take a look at the bill it’s only Sony Entertainment that has pulled their support, Sony Music and Music Publishing are still listed on the site. As well, Nintendo is still in support of the Protect IP Act that is a counterpart of the SOPA. So while a few companies have pulled their support from the bills, a large number of them are still in favor of them. It’s an interesting development, and it leaves us asking a lot of questions about why they each company supported the bill in the first place. Both acts being pushed forward by congress are about controlling the tide of piracy that has been “taking away” profits from various industries. But according to a survey, pirates are ten times more music online than non-pirates. So what is this all really about? 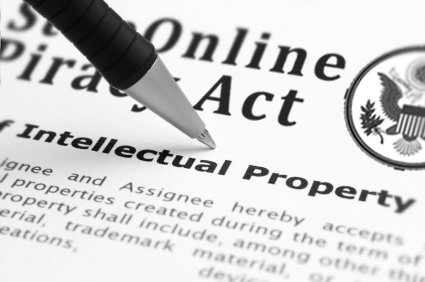 The Protect IP Act is designed to block websites who are actively infringing or counterfeiting goods, so in other words if they’re doing something like singing copyrighted song then the website can be blacklisted. Or if they’re taking news from a various news sources, like this article is, then Just Push Start could be blacklisted. Controlling content is the issue both SOPA and the Protect IP Act are trying to tackle, but some companies might be showing the bills reach too far. Nintendo, EA, and Sony pulling their support for the bill is a good first start, maybe even a sign of goodwill or a way to cover themselves if it gets passed, but we’ll have to wait for new developments to see who else will be pulling away.